Two different ferries in Port Askaig: On the left the Eilean Dhiura, the small ferry serving Jura across the Sound of Islay. 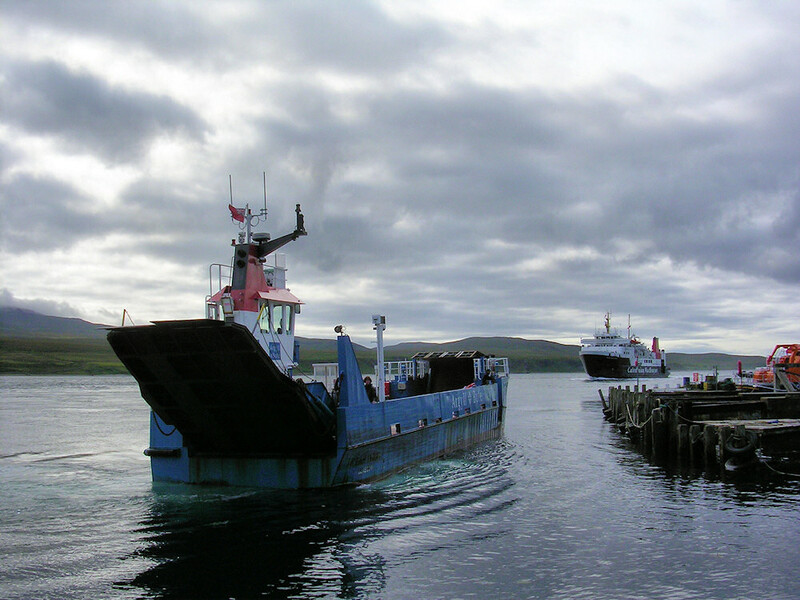 On the right the MV Hebridean Isles, connecting Islay with the mainland at Kennacraig. This entry was posted in Cloudy Weather, Landscape, Repost, Village and tagged Islay, Jura, MV Eilean Dhiura, MV Hebridean Isles, Port Askaig, Sound of Islay by Armin Grewe. Bookmark the permalink.